Here is another of my favorite Kahlua cocktail recipes. I’m not a coffee drinker but the smoothness of Kahlua is a great taste sensation. 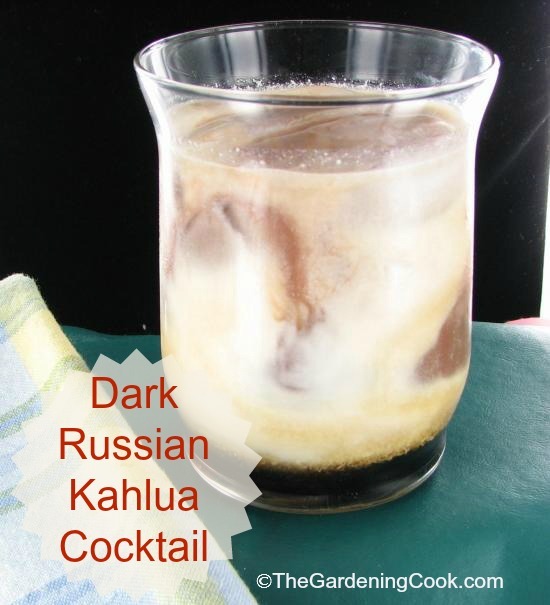 This dark Russian Kahlua cocktail combines that taste with vodka, chocolate milk, and cream for a great tasting drink. I always find it interesting to find out something about the background of the drinks that I enjoy. This delicious combination first appeared just before the middle of the last century. The drink is often attributed to a Belgian barman named Gustave Tops. He was working the Hotel Metropole in Brussels, Belgium. Tops made the drink in honor of Perle Mesta who was the US ambassador to Luxembourg at the time. It is called a dark Russian because of the Vodka in it and the dark color of the Kahlua. For chocolate lovers, be sure to have a look at the White Russian Kahlua cocktail too. This dark Russian Kahlua cocktail combines that taste with vodka, chocolate milk, and cream for a great tasting drink. Top with chocolate milk and cream. You can vary the amount of milk and cream depending on how strong you want the drink. I use a larger glass with more milk and cream.